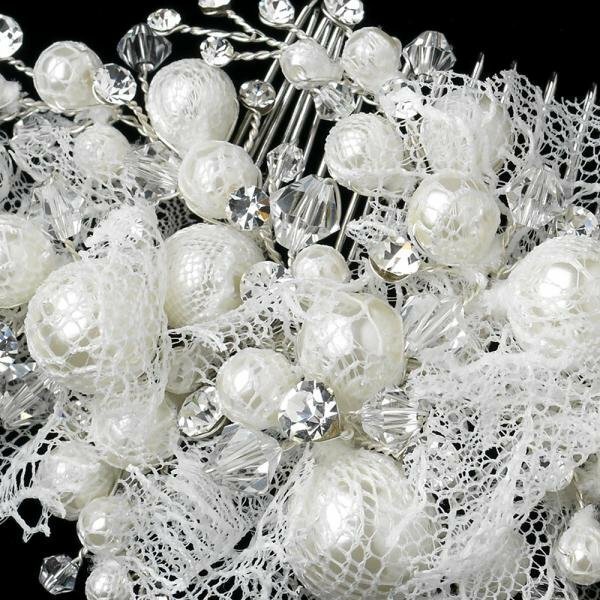 This silver plated bridal accessory features a breathtaking arrangement of diamond white pearls of various sizes, along with sparkling crystals and rhinestones that lie amongst a netting of lace fabric. 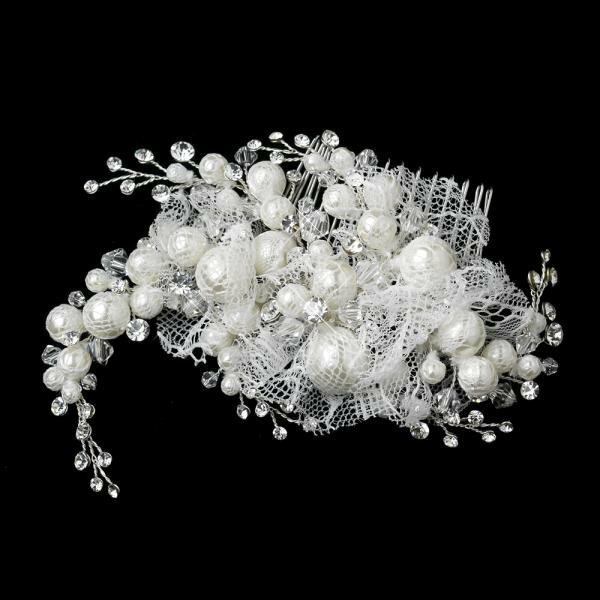 This piece has a remarkable design that is polished off with a tail of glistening elements to wrap snuggly around your hairdo. Size: 10 cm wide x 7.5 cm high.